Social Media Marketing To Help You Get Found Online! Simple Marketing Now takes advantage of the lessons that social media marketing and social media tools – like blogs, online reviews, sharing and networking – teach us about connecting with customers. Rather than interrupt your customer, as traditional tools like advertisements do, social media tools engage them in conversation. If you are serious about the conversations, you can remedy the failures of traditional or outbound marketing, which is inherently one-way, and establish two-way communications, trust, transparency and authenticity in a group setting. That’s what makes it social. 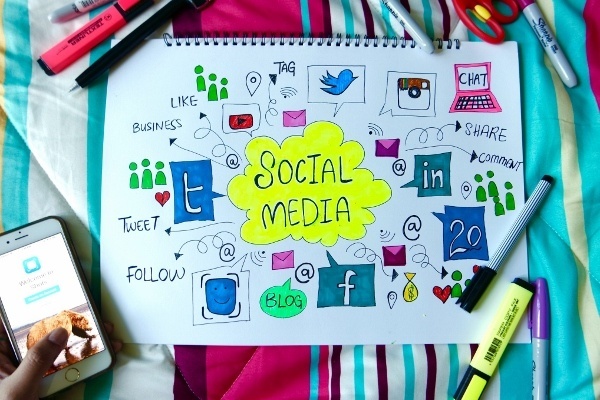 Now, social media marketing tools aren’t just the latest shiny toys out there. It's not really the tools themselves that are interesting. It's what they do that's important. These tools enable interaction amongst people. They break down the traditional walls that companies have built between themselves and customers, and which are part and parcel of traditional marketing techniques. They allow us to get to the heart of what matters to your customer, and offer value to them through content and conversation. If you'd like to assess your readiness, you might want to read through these B2B Social Media Assessment Questions. What’s happening online? We’ll research and analyze digital dynamics. What’s happening offline? We’ll conduct and analyze interviews with core customers [B2B or B2C] and evaluate the brick & mortar expression of your customer experience. We’ll recommend how to bridge the gaps between online and offline, integrate social media marketing programs with traditional and improve the customer experience. We can help you educate yourself about the new social media marketing tools available. Participate in Social Media and Blogging 101 workshops. Learn about developing a content strategy and how to develop and share compelling content relevant to your customers. We will develop and implement a marketing strategy for your business that includes a blog and social media. It's all customized to meet your organization's needs. Once you are immersed and comfortable in blogs and social media marketing, you'll be ready to implement Social Media Conversation Monitoring and Analysis. Visit Simple Marketing Now's Digital Marketing Resource Library where you'll find more on social media marketing!